Hong Kong-based Oriente, launched last year by Skype co-founder Geoffrey Prentice, raised US$105 Million, to provide Asia's unbanked with digital lending and other financial services. According to the article, 82% of Asia’s adults do not have a bank account, and 89% reply on informal credit. Oriente's mission is to use data science and AI to develop alternative credit risk assessment for these people. Their business rationale is founded on the region’s rapid smartphone penetration and demand for payment services and unmet credit needs. Oriente’s first service was Cashalo, a low-cost credit service in the Philippines. Easyship, a Hong Kong-based startup that aims to make international shipping for e-commerce as easy as payments, has closed a $4 million Series A round. Its service adds shipment options to e-commerce pages to make it simple for retailers to offer overseas shipping, and customers to receive product in any market. The new funds will go toward developing the company’s technology — which helps to find cost-effective shipping routes — as well as adding more shipment and logistics partners, and reaching more customers, particularly in the U.S. Easyship claims it can help cut shipping costs by up to 60 percent. Its base of 40,000 SMBs have seen their overall sales increase by 40 percent on average. The Office of the Government Chief Information Officer (OGCIO) has opened applications for the Hong Kong ICT Awards (HKICTA) 2019, nominations will be open until January 18. This year awards will be handed out in eight categories, with the Award of the Year to be handed out to one of the Grand Award winners. 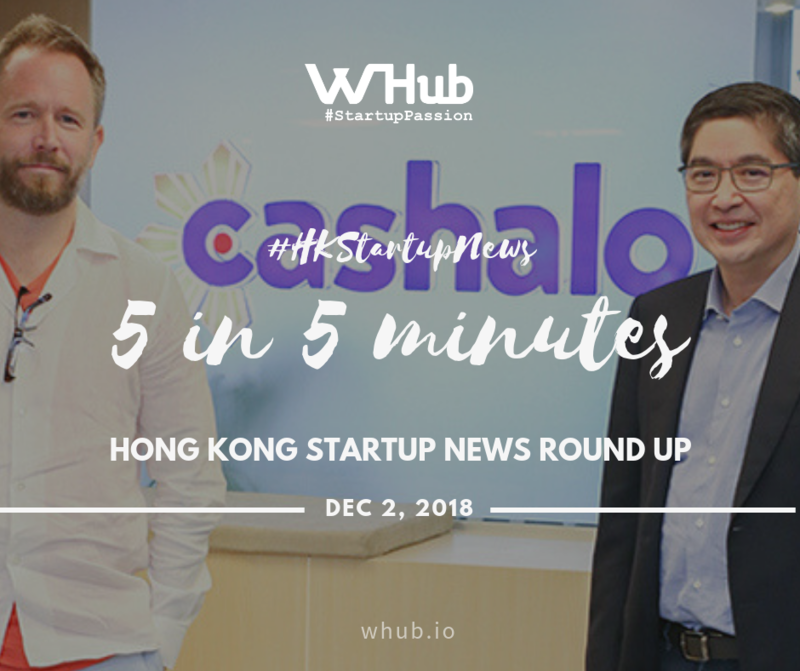 Award categories will include the Fintech Award, organised by the Hong Kong Institute of Bankers, and the ICT Startup Award organised by the Rotary Club of HUB Hong Kong. There are also categories dedicated to Smart Business (organised by the HKCS), Smart Living (Hong Kong Information Technology Federation), Smart Mobility (GS1 Hong Kong) and Smart People (the Hong Kong Council of Social Service). Finally, the student innovation award will be organised by the Hong Kong Innovative Technology Development Association, and the digital entertainment award will be organised by the Hong Kong Digital Entertainment Association. Invault, a Shanghai-based startup, has secured a new trust license from Hong Kong’s SFC to act as a digital here and plans to begin offering automated cryptocurrency custodial services in December. It is also said to be in talks with a couple of “mid-sized” insurance companies to possibly add their coverage to its services. The SFC’s new regulatory framework for local cryptocurrencies. requires licensed asset fund mangers to choose to keep clients’ funds at a custodian, an exchange or in cold storage. This is the niche Invault is now stepping into, storing the private keys for clients’ wallets in a physical vault. Invault is backed by venture capital fund Matrix Partners China, the startup reportedly already has a staff of over 40 in Shanghai and holds 1 million ethereurm under custody for mainland Chinese clients. Livin Farms, a start-up that has been making insect incubators since 2016, and is now working on a compact model to cultivate mealworms it says is suitable for use in kitchens, and in biology classrooms. “In 2050, we're going to be nine billion people on the planet, so we have to find new solutions to feed ourselves, and to feed the next generations”, says Katharina Unger, the 28-year-old founder. Livin Farms believes that their self-contained hive system provides a do-it-yourself solution, as the mealworms can be fed with food scraps, harvested weekly, frozen and then cooked in various ways. It can produce 10-20g of mealworms for consumption every week while still keeping the farming ecosystem running.